Illinois Institute of Technology celebrates Women’s History Month. 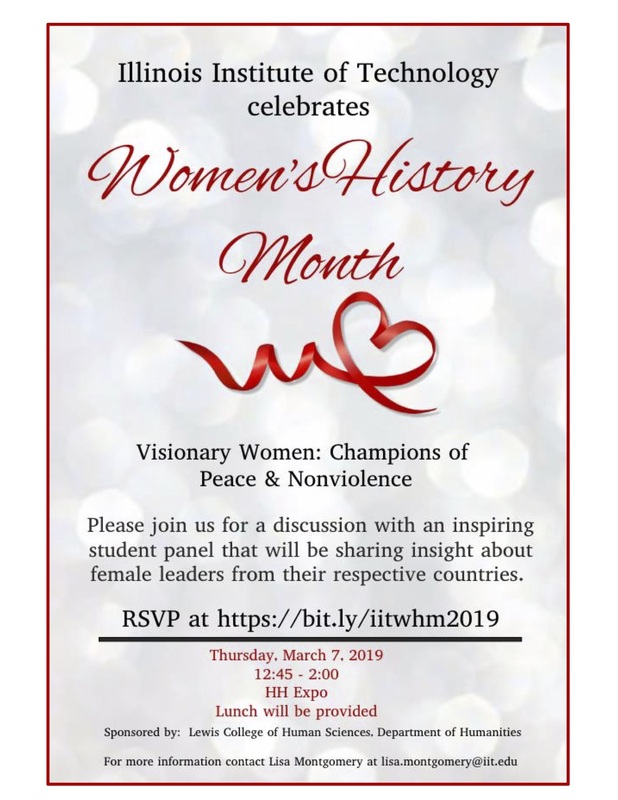 The national theme for Women’s History Month 2019 is Visionary Women: Champions of Peace & Nonviolence. You are invited to join in a discussion with an inspiring student panel that will be sharing insight about female leaders from their respective countries. The event will be held on Thursday, March 7 from 12:45–2 p.m. in the Hermann Hall Expo. Lunch will be provided, so please be sure to RSVP.